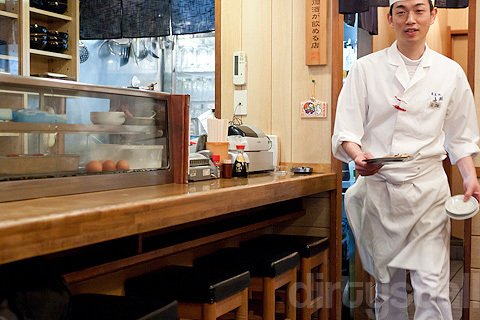 I love yakitori and the moment I saw Toriki on Anthony Bourdain’s No Reservations, I knew I had to eat at Toriki when I returned to Tokyo – and so here I am! They prepare all the chickens themselves fresh and whole. There’s only 1 small grill as well, coated with all the oil of a million chickens grilled on it. The interior is fairly small, just about 4-5 small tables and a long counter. I suspect there might be a room further in the back but I didn’t check. 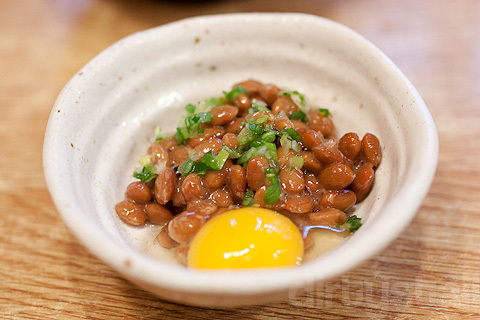 The appetizer was natto with a raw quail’s egg. Not exactly what I was expecting, since I’m not a big fan of natto but I still ate it. First up, some kawa (chicken skin). 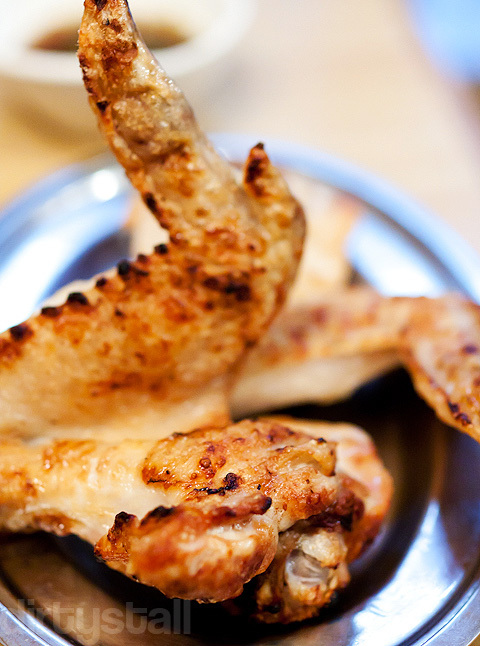 Grilled crispy to perfection, with lots of soft globules of fat underneath. Super unhealthy but super delicious! And they probably gave us like half a chicken’s worth of skin! 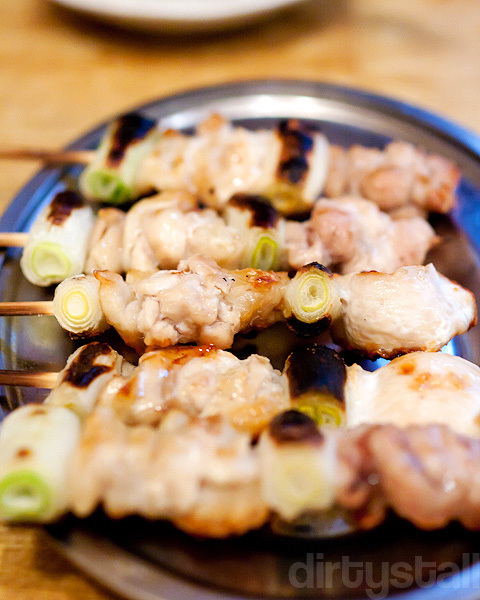 Then came the classic yakitori, but this time in large juicy chunks of chicken meat. Next was their house special, the tori tataki. 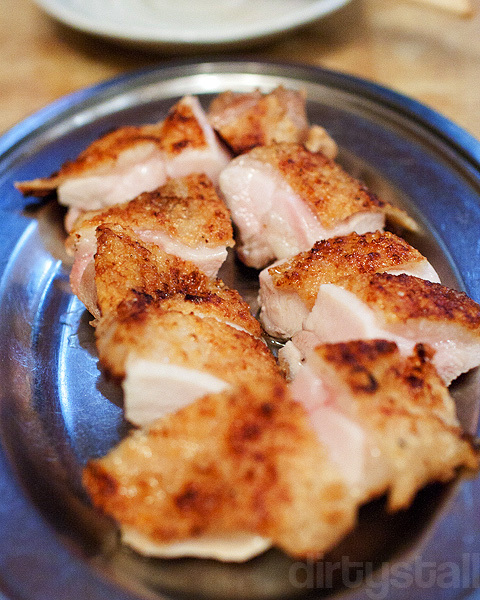 Once again, large chunks of thigh meat but this time with skin on, and grilled almost like the chicken skin earlier. The difference is that the meat is grilled to be medium and that makes it so much more tender and even more juicy. I really wish I had ordered a 2nd plate of this. 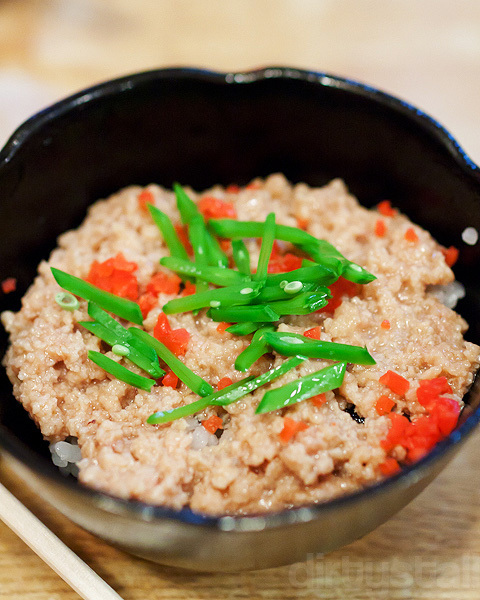 I tried some minced chicken meat over rice but it was pretty much a let-down because it was nothing special at all. Next I ordered another of my favourites, the tebasaki (chicken wing). These wings were huge! Probably one of the biggest wings I’ve ever had and they are really tasty too, salted just nice. And finally the tori sashi (chicken sashimi). Something that I’ve wanted to try since I saw it in the episode. A lot of people have told me how disgusting it is to eat raw chicken but I felt it was worth the experience of trying it. After all, I’ve already tried horse and whale sashimi, what’s chicken anyway? 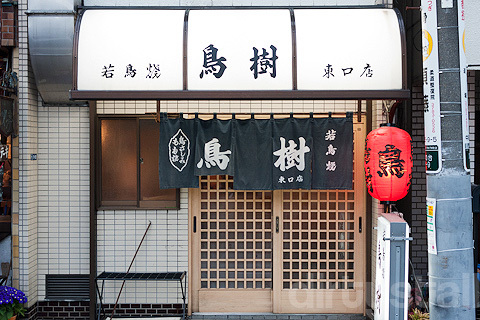 Toriki gets their chicken from a country farm and as mentioned above, they kill the chickens every morning themselves to ensure the freshness and cleanliness of the meat. Look how glistening pink the meat is! Toriki sears the outside of the chicken breasts briefly to ensure no germs remain on the surface, then serves it raw in a shoyu sauce mixed with a little bit of wasabi. The meat has no fowl taste at all, clean flavour with a texture not unlike raw tuna but firmer. I would definitely order this again! 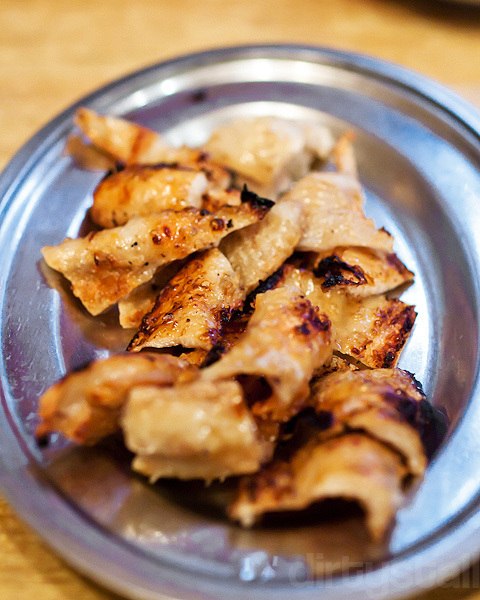 The kawa (chicken skin) is real sinful! I noticed that their speciality seems to be chicken, grilling of chicken. They use a non-stick pan? 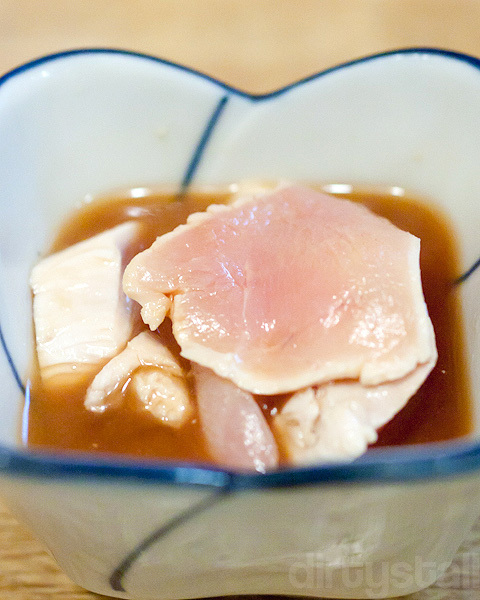 Tori sashi (chicken sashimi)? I am sure u have ate it as some chicken rice stalls, their chicken (esp at the joint) then to be slightly uncooked. 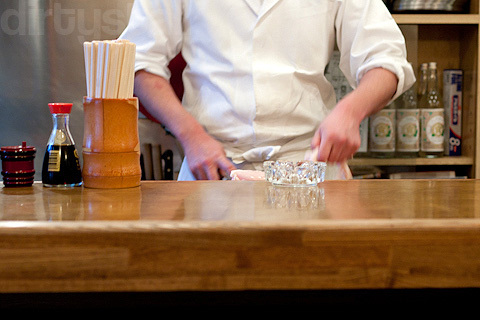 I would love to try the tori sashi. Any idea if singapore has it or we can just do it at home? Hahaha yeah it is really sinful! 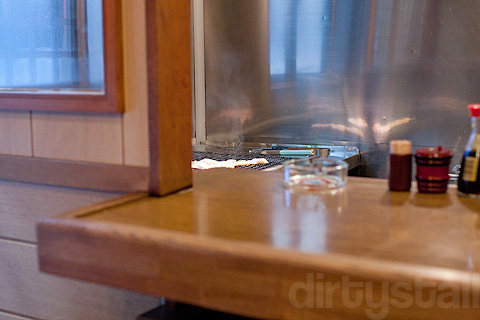 They mainly use a charcoal fire with a wirenet grill over it, like our old-school bbqs. And I’ve eaten slightly uncooked chicken before near the joints as you say but the chicken sashimi is a whole new level of rawness because its the entire chicken breast that’s mostly raw. I’m told you can indeed get tori sashi in Singapore. Certain big name Japanese restaurants here do serve it upon request and I think kushiyaki restaurants here also serve it. I think Shunjuu might have it but I’m not 100% sure. I ate tori sashi at Torisho Taka. 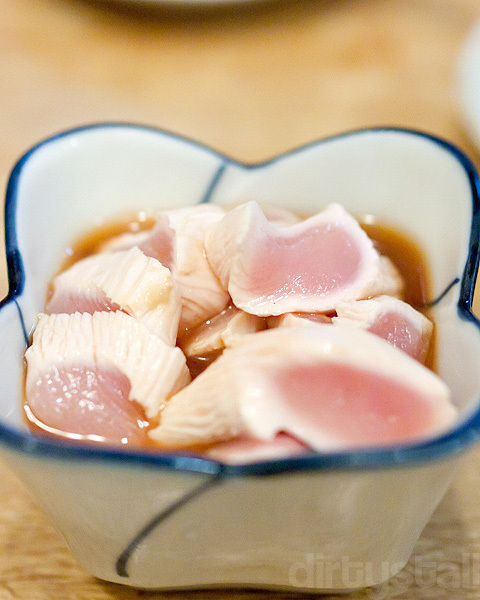 They serve the chicken sashimi the same way, simply with wasabi and shoyu. It’s no biggie actually haha, tastes just like salmon sashimi, incredibly moist and juicy. Haha yah I dunno why everyone makes such a big fuss over it! This is the one at Hatano-dai, there are 2 shops actually, very close to each other but I went to the branch instead of the main one which Bourdain went to.